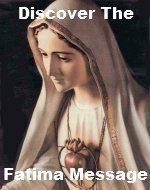 The First Sorrowful Mystery Rosary Meditations bring to mind a deep sorrow for sins. Can you imagine the agony Jesus suffered while all the sins ever committed and to be committed flashed before Him? Your sins and mine, in fact everyone's added to this intense agony. He saw all these sins and knew the pains He had to suffer in order to expiate for them. Please add your own meditation(s) on this mystery, The Agony in the Garden. By adding your own meditation(s) you are actually building your own web page on our website. 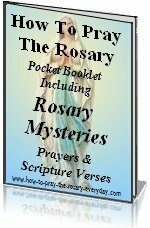 They don't have to be elaborate meditations, but they do have to pertain to the First Sorrowful Mystery Rosary Meditations. It always helps me to try to picture myself with our Lord, under the veil of the evil of this World. Pray for forgiveness, for gratitude of blessings, for help in troubled times, help, for peace. Pray together, pray reverently, pray always.